6. The machine is made of stainless steel, which can be heated evenly. (We'll choose the most suitable way and lowest delivery cost for you. (We'll choose the most suitable way and lowest delivery cost for you. Amazon Coffee adhere to all along customer-oriented and treasure every customer with our sincere cooperation. So we provide and stock parts for all our customers for 10 years after the sale. Besides, before you are planing to place the order we will also confirm this lead time approx with our people. 3.Temperature sensing system can show the roaster and coffee bean temperature. 3. High temperature window lens can observe the coffee beans baking conditions. 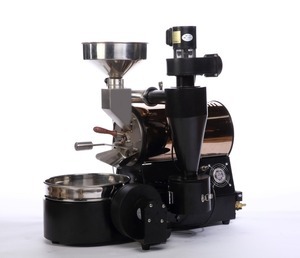 4.Sampling handle, can be arbitrary sampling inspect the coffee beans baking degree and color change. 3. 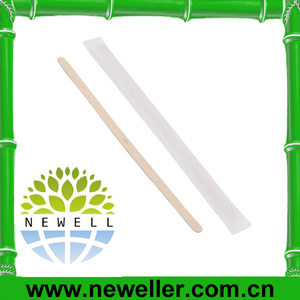 Special sampling handle, which can takeout the condition of coffee bean and the color. 5. The cooling and roasting process are separated, which can work continuous. 6. 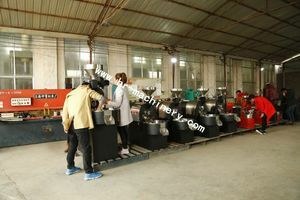 The machine is made of stainless steel, which can be heated evenly. Customer's logo or company name can be printed on products by stamping, printing, embossing, coating or sticker. We always attach great importance to quality control from the very beginning to the end of the production. 4. Q: What is your warranty terms9 A: We offer different warranty time for different products. l The USB data output port direct computer, real-time dynamic temperature curve l imports rosewood sampling handle l aluminum foil exhaust and cooling single pipe l efficient cyclone smoke dusts collecting tank. Barista baking competition designated equipment sponsors Technical parameters Model BK-3 Capacity 500g-3300g / batch. W 220kg *electric heating model 6800W Packaging & Shipping Standards Ocean or Airfreight shipment wooden case package machine wrap by Bubble bag and fixed on the floor by rubber belt . 4. Adopts direct fire and hot baking method, retain the aroma of coffee beans. 2. Ready for the coffee beans,pour the green coffee bean into the funnel. then adjust the size of induced draft fan to adjust the temperature of roasting. 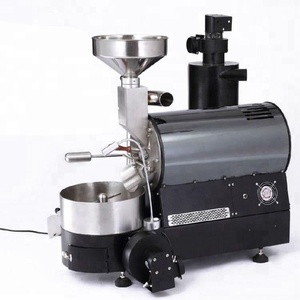 Coffee roaster/ toper coffee roaster Individual enthusiasts, studio, various types of western restaurants, cafes, coffee sales industry and coffee roasting plant laboratories industry. The toper coffee roaster is small, suitable for use in any space, structural design is complete, the baking effect comparable to a large professional models, baking tool can be handy for beginners and baking experts. 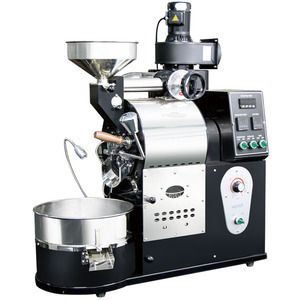 Features of toper coffee roaster: 1.Power can adjust the size of the arc heating method, heating evenly, more precise temperature control, baking better; 2.With the reminder that reach the preheat temperature and overheat control and reminders; The figures show that the timing is set, can be arbitratily set the baking time to make your baking more stable; 3.High-temperature window. Stainless steel rotary drum, fast heating, it is in line with the food health standard. 1kg & 3kg coffee roaster: Gas heating and electric heating two styles for choice. 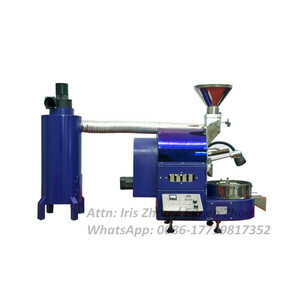 (full automatic can be customized) 60-200kg coffee roaster: Detailed configuration can be determined by the communication with technicians. It is suitable in coffee house, west restaurant, cocoa roasting factory and lab. Roasting and cooling systems are separate and it can roast continuously. After the warrant period, we still focus on the plant running and services. 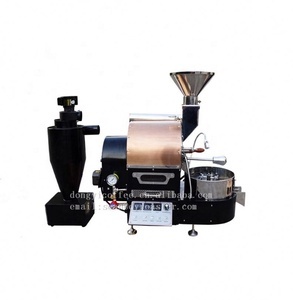 Adopts Full Stainless Steel Materials and Specific Design to offer better roasting experience. LPG-NG-Propane gas or Electric as roaster heating source. 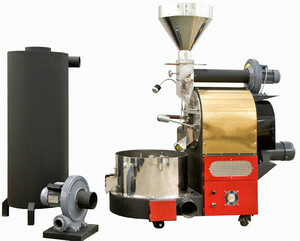 The 2kg coffee roaster adopts Full Stainless Steel Materials, S/S 304 roaster Drum, 5 mm thickness. 3.The unique design of roasting roller&#65292;interactive control technology and even baking effect. 4.Adopts direct fire and hot baking method, retain the aroma of coffee beans. 6.Advanced temperature control technology, precise temperature control instrument. Q: Coffee drinkers: What do you like to put in your coffee? A: The only coffee I do not like was just too weak . I am not a snob as far as brand as longer as it tastes like coffee . Douwe Egberts be extremely good but at house I use dark roast from a local shop-their beans is a general from Africa and it is fair trade . I can get DE at work . I like ground vs. instant-the solely dignified instantaneous I ever tasted is Starbucks Via . Normally not a Starbucks fan however , it tastes like real cofffee . Q: When do you drink coffee? A: So purchased the same products that your friends drink and invite them over to socialize . Make coffee for them and tea for yourself . Have Fun  Well ask one of them to bring their pot - this is no big dealing ... or you are able purchase one of your own because this 's something that you do with your friends , it will come in handy in the future ; so the acquisition will be worthwhile . But , once again if the funds are tight , quite simply ask one of them to please bring the pot , they 'll all presumably laughing at you , but 's thinking : your friends known that you do n't drink coffee so well , it was n't a big dealing . A: Yes . Instant coffee was ready in the same as roast and ground coffee , but with an add steps at the end of the process . You can simply add back hot water to brew the coffee fresh in your cup . No machines , no hassle . It ’ s as easy as that .